Throughout their 20 year stay in Hard-Rock charts, Iron Maiden have influenced an entire generation of people and this has been reflected in the numerous media references to them in television programs and films, but not as much as the world of video games has. Below is a list of some of the most prominent references to Maiden in popular games, we have included Ed Hunter even though it was developed by Iron Maiden due to the fact that is has gained popularity outside of the fan community for the band for being of the few point-and-click shooters available for PC. In a game which recieved huge media coverage for it's portrayal of violence, Maiden were included on this game's soundtrack with 2 Minutes to Midnight being included this time (alongside bands such as Megadeth, Slayer, Anthrax, Motley Crue and Ozzy Osbourne. However this game differed from many that had previously utilised music, and included well over 50 songs on a number of in-game radio stations that a player could listen to while they were driving a car or riding a motorcycle. Iron Maiden's contribution was included on the heavy-metal station "V-Rock" which is undoubtedly influenced by Iron Maiden as a whole, going so far as to using the Metal Lord font in the logo for the station. This font is also featured on posters throughout the game for the fictional metal band 'Love Fist' and their 'Steel Heart, Stone Cold Prostate Tour'. As an ode from the Skateboarding and extreme-sports community, Eddie (Iron Maiden's mascot) was included as an unlockable skater in the forth outing for the Tony Hawk's game franchise. In the game he is not directly called Eddie, instead he is referred to as 'Metal Head' and to unlock him for play, a gamer must save up $9,000 in game money (done via performing tricks and completing tasks set in the single player mode of the game) and then buy him in the 'Spend Cash' section of the game (available from the main menu). Eddie has two special airs and one special grind as a skateboarder, one of which includes him playing air guitar while doing a trick. To go along with the addition of Eddie to the skater line up, Neversoft (the developers) included The Number Of the Beast on the game's soundtrack, joining bands such as AC/DC, System of a Down, The Offspring, Agent Orange and Public Enemy. The game was praised for it's varying soundtrack which appealed to fans of all genres and gave a huge boost in sales of many of the bands that were featured (including Iron Maiden, who were preparing for the release of their 2003 album Dance of Death when THPS4 was released). Three years after Tony Hawk's Pro Skater 4 was released to critical acclaim and commercial success, One of the next-generation consoles on from the PS2, the Nintendo Wii had Tony Hawk's Downhill Jam released for it. This game differs from others in the series as instead of being set on flat-land and having the objective of trying to get the highest score possible, or complete missions defined by the game, you must continuously travel downhill, while gaining speed and trying to finish before opponents (much in the same vain to one of the earliest skating games released, Skate or Die!). For this release, Different World, from Maiden's 2006 album A Matter of Life and Death will be used on the soundtrack. No other references are planned in this release due to the fact that the developers in this franchise will only use guest skaters once in a franchise and not use them again unless they become regular characters (as in playable professional skaters in the single player mode of the game). This PC game was released in the year 2000 and was the last of the 'Monkey Island' franchise of games, which were all published by LucasArt. Rather than a direct reference to Iron Maiden or any of their songs, this game quotes one of the most famous lines from the 1989 film Bill & Ted's Excellent Adventure (in which the King of England orders Bill and Ted to be executed by being put in an Iron Maiden torture device, however they both misunderstand his wording an exclaim "Iron Maiden?! EXCELLENT!"). This is referenced in the game when the player makes the main character that they play through the game as (Guybrush) look towards an Iron Maiden torture device which is in the jail on one of the game's islands (to be specific, Lucre Island), the character will then say "Iron Maiden?! EXCELLENT!". 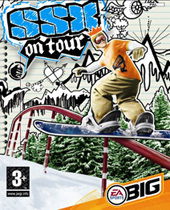 Following the trend set by Tony Hawk's Pro Skater 4, the fourth installment of the SSX snowboarding games included Run To the Hills on it's soundtrack, and even used it as the game's main theme. On this game, Iron Maiden join a lineup of bands both in and out of the hard-rock genre, including Avenged Sevenfold, Goldfinger (who were also featured on Tony Hawk's Pro Skater 4), Mot�rhead (featured in an earlier installment of the Tony Hawk's series, game #3), Queens of the Stone Age and Pennywise.